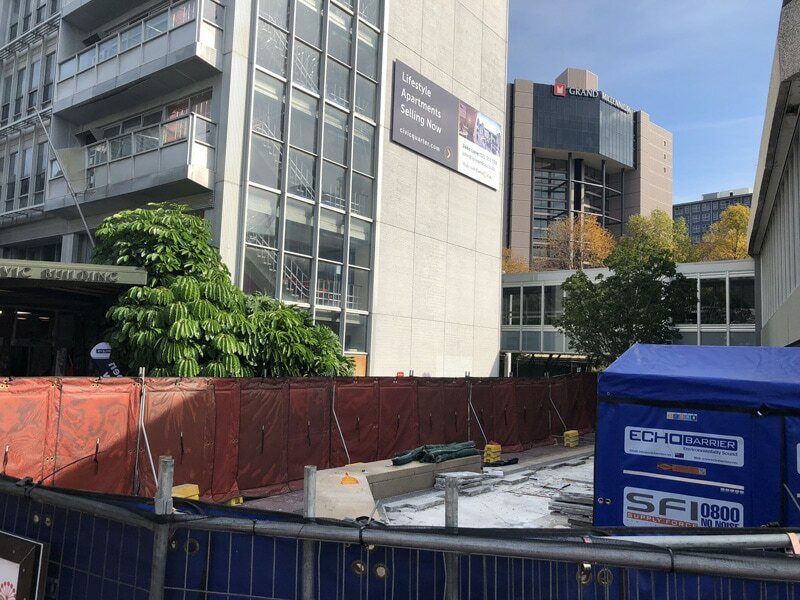 Savory Construction was carrying out trenching works for utility services at Auckland’s iconic Aotea square. 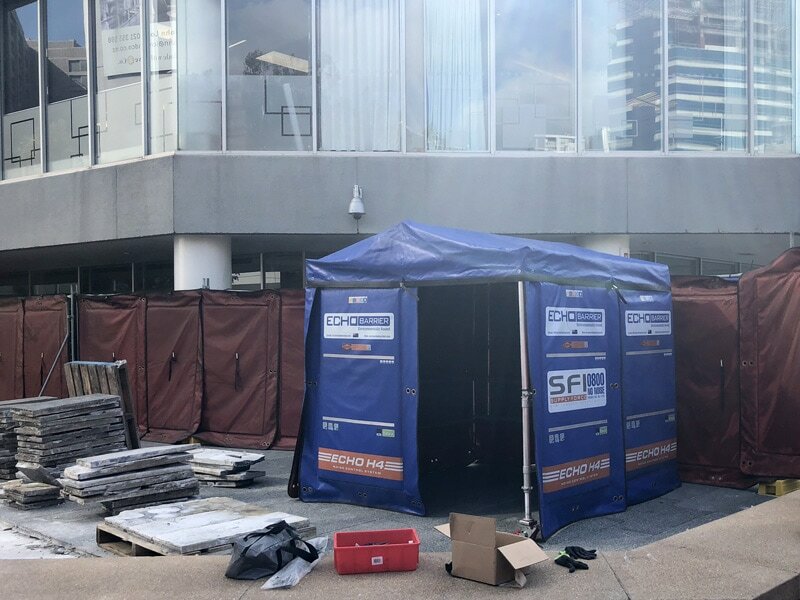 With noise levels a concern for the large amount of public foot traffic, Supply Force provided the solution for mitigating construction noise pollution: Echo Barrier noise mats. 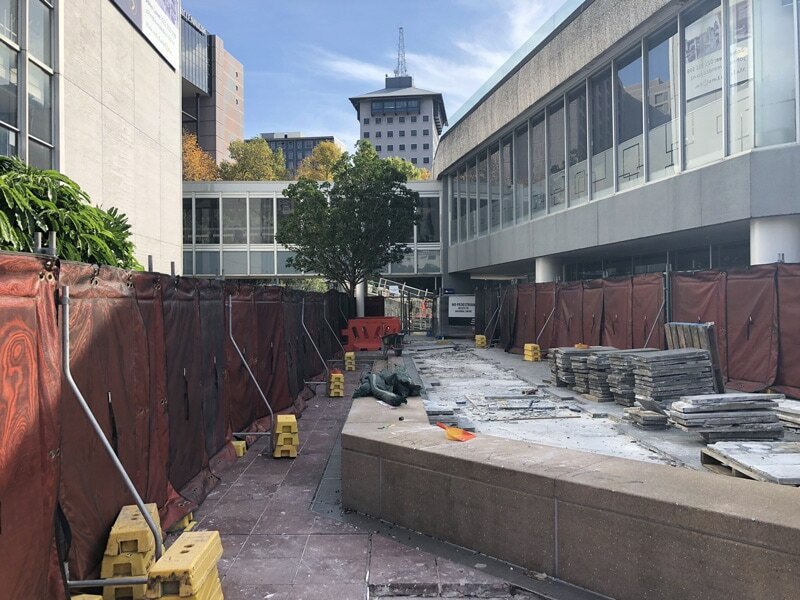 Savory Construction was carrying out the contract on Aotea Square for trenching works for services. The work required the use of concrete floor saw and breaking work. The contract required a deep cut through the existing walkway and excavation for new services. Aotea square is Auckland’s iconic square, flanked by the Aotea Centre theatre venue, the Auckland Town Hall and Civic Theatre. The square receives a large amount of foot traffic from the public, as well as council offices in the square’s western corner. Savory Construction were concerned about the noise that would be generated during the construction phase and the impact this would have on the passing public and office workers. This is a common problem on construction sites, where workers inside the site boundaries wear hearing protection, but the public just outside the fence line have no protection and are exposed to excess noise levels. Savory Construction decided to deploy Echo Barrier to manage the noise from the construction site. They made use of Echo Barriers H20 enclosure, and H2 acoustic barriers. The H20 enclosure is a wheel mounted acoustic enclosure, with a pitched acoustically lined roof. This enabled Savory to deploy a localised attenuation solution for cutting and breaking work. The H20 enclosure allows for best-practice approach to noise mitigation by localising the attenuation as near as possible to the source. In both these activities the tent was able to attenuate the noise generated by both the equipment’s powerpack and ground engagement. 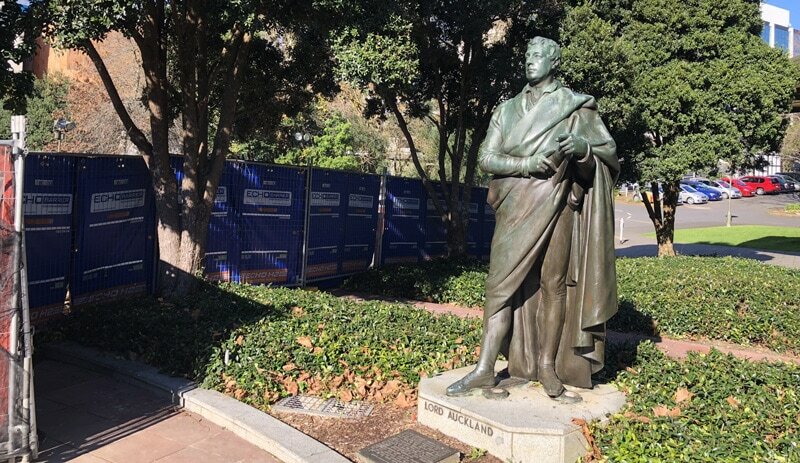 The Echo Barrier H2 barrier was installed along the fence line the absorb noise that would have impacted pedestrians on the square. The barrier significantly reduced noise to the public, as well as managing dust, and blocking out the view of the construction site.